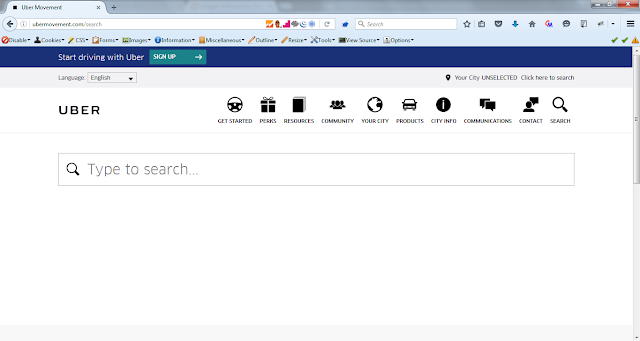 On May 2nd I started a revaluation of web application for a client. While doing revaluation I found out that they have added some more functions in web app, I started exploring the new features of app every things look fine as they where all static HTML page then suddenly I came across a file "filedownload.php". 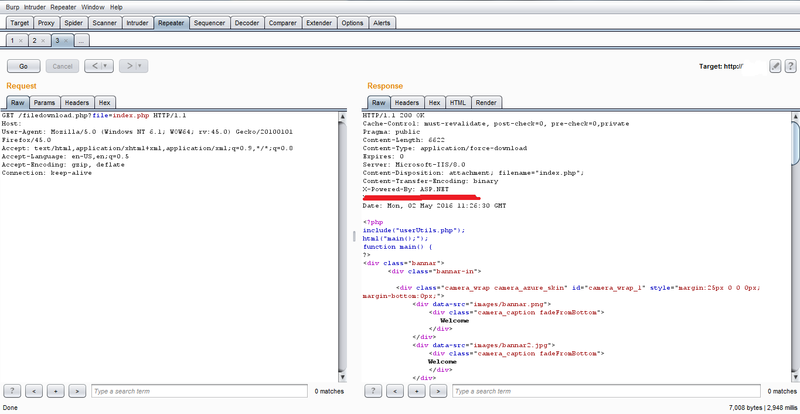 Now, my first step was to spider this branch that I did with help of burp suite & the full link was "http://site.com/filedownload.php?file=E:\netpub\vhosts\www\httpdocs/journal/welcome.pdf"
"ERROR: download file NOT SPECIFIED. USE forcedownload.php?file=filepath"
So after doing some Directory Traversal attacks I was sure that LFI was not applicable. Then I started looking for Web.Config File as the server was working on Windows IIS. "http://site.com/filedownload.php?file=web.config" the link works but no luck as the file was empty. 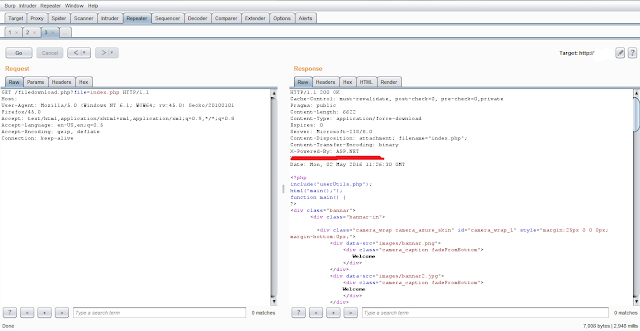 Then I, Looked for "index.php" file as many web developers sets there database connection password in "index" file "http://site.com/filedownload.php?file=index.php". Luckily I was able to download the index file but still the password was not present. 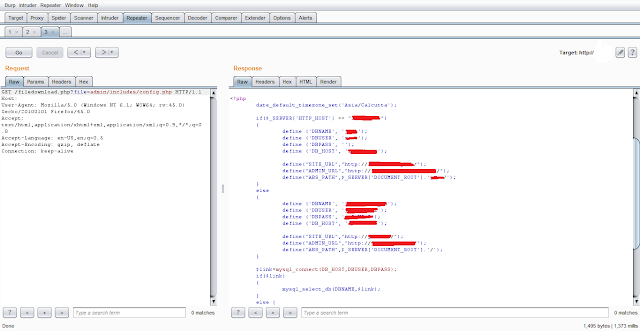 But, I get a hint a file name "UserUtils.php" was linked to the "index.php" file. 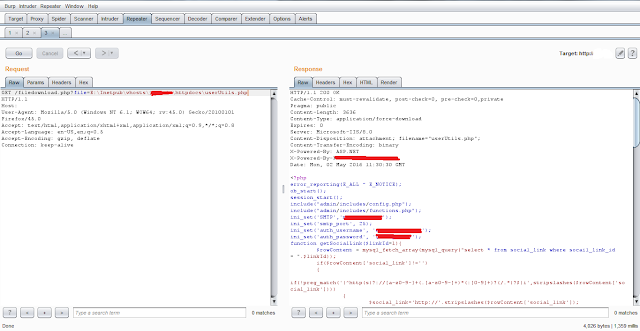 But Sill I was not done, I have to find the Database Credentials so, After reading the whole file I found a New Path which have configuration file "admin/include/config.php" & "admin/include/functions.php"
Now, I tried to download Configuration file "http://site.com/filedownload.php?file=admin/include/config.php"
& Cheers I was able to see the Database Credentials as they were in plaintext. Blind OOB XXE At UBER 26+ Domains Hacked. This is the story of how I was able to find XXE in one of the UBER'S Website that was in Bug Bounty Program Scope. On July 26th 2016 Evening I was working on domain ubermovement Web Application. 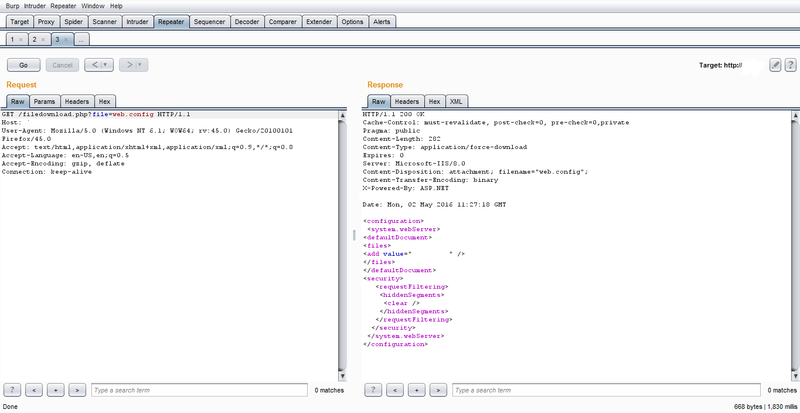 As it was a small webapp there were no too much parameter to run injections tests. I started the old school tests and the first parameter I came across was the Search Box. In Directory "search" I got two requests. Easiest Authentication Bypass Ever !!! I was given a revaluation pen-test for a bank's Android/IOS application. I was shocked as the code was same as OTP that I requested earlier that hour for login to my account. As million question coming to my mind such as how ?, why ? 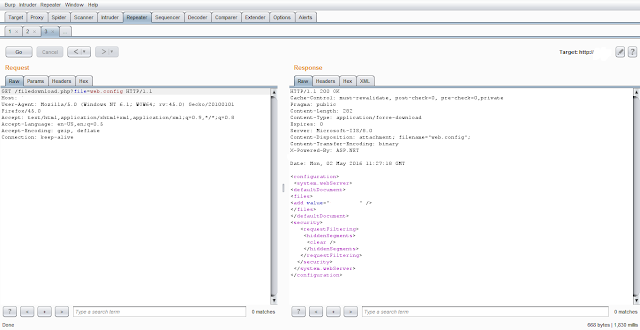 ...etc One thing was clear that the application authentication via OTP was going on at client side. I had a thought, If the OTP & Verification Codes are present in HTTP Response I can easily Bypass the authentication plus I can change the password for any account I like all I want was victim's User Name or email or mobile number. 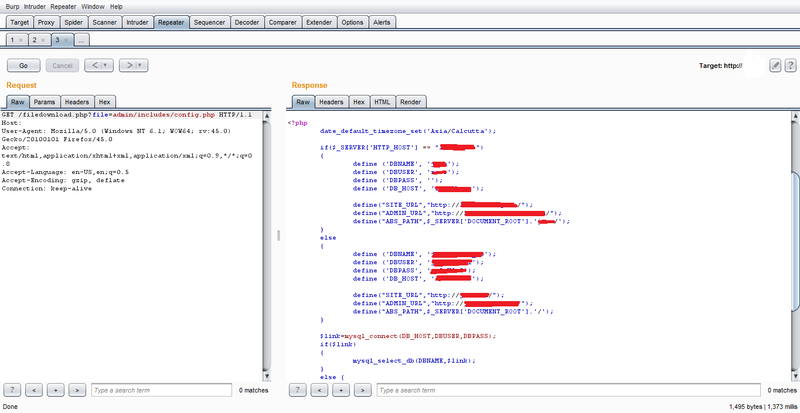 So, here goes the POC for How client side OTP Checked is dangerous for users ? Less Time To Perform Penetration Tests ? Look For Known Bugs...!! I was having my evening tea as few hours left for a day off and suddenly I was assigned a new task by my manager. He rush down to me and said dear Raghav, you have to perform a quick security tests on particular website ABC and its sub-domain. Try to wrap it up in an hour or two. Find any critical or high bug and make the incident report so we can impress our client and buy proper time to perform security assessments. The moment I received E-mail related to project, My first move was to search for sub-domains so I use following techniques like Google/Bing search operators, reverse IP lookups, dnsdumpster.com, Knock Sub-domain Scan and Acunetix Sub-domain Scanner.